This modish three bedroom holiday apartment in Barcelona, situated in Eixample, is the perfect base for your trip to the Catalan capital. This ´barrio´ is a great choice for those who seek a comfortable place to call home during their time in the city, as this neighborhood is renowned for the finest tapas bars, excellent shopping areas and some magnificent architecture. The apartment can be found close to the Plaça d´Espanya and the Fira de Montjuïc. The living area has a comfortable sofa and a TV , perfect for relaxing after a day of sightseeing. Internet is also included. 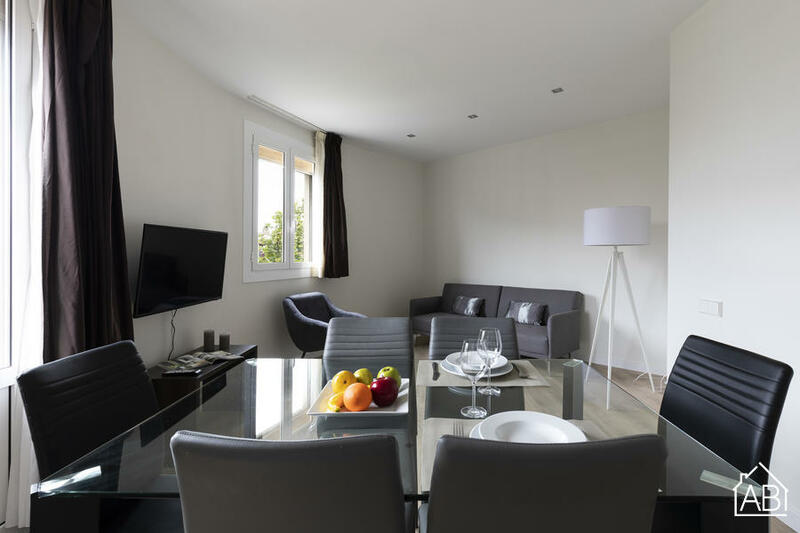 This spacious apartment has all the requirements for your holiday to Barcelona, any time of the year!